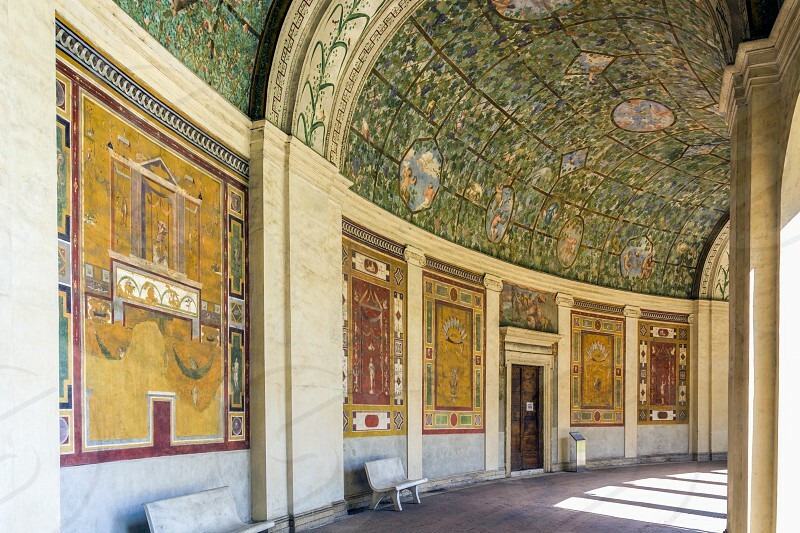 The Tunnel Vault of the Semicircular Portico (Loggia) at the rear of the Casino by Vignola. The Villa Giulia is a villa in Rome, Italy. It was built by Pope Julius III in 1551-1553 on what was then the edge of the city. Today it is publicly owned, and houses the Museo Nazionale Etrusco, an impressive collection of Etruscan art and artifacts.